KARACHI (Feb 8): Sindh Chief Minister Syed Murad Ali Shah introducing reforms in education sector has approved establishment of Sindh Curriculum Authority and also allowed recruitment of 6000 teachers purely on merit to operationalize 2000 closed schools. He took this decision while presiding over a meeting on Education Department here at the CM House. The meeting was attended by Minister Education Jam Mehtab Dahar, Chief Secretary Rizwan Memon, Principal Secretary to CM Naveed Kamran Baloch, ACS (Dev) M. Waseem, Secretary Education Syed Jamal Shah, Secretary Finance Hassan Naqvi, Additional Secretary Education Nawaz Sohu and others. The secretary education briefing the chief minister said that there were 5384 closed schools in the province, of them 4,123 are viable and could be made functional. In the light of education emergency imposed by the chief minister 1461 schools have been opened. The chief minister giving them target of opening 2000 schools by end of March allowed the education department to recruit 6000 teachers. He categorically said that the recruitment of the teachers must be made on merit and there would be no comprise on it. Therefore, recruitment must be made through IBA Sukkur. “I want to visit these schools open by the end of March so that new target to improve education system in the province could be set,” he said. Talking about curriculum, the chief minister said that he has gone through the text books of different classes right from primary to middle. “I am sorry to say I am not satisfied with the content and quality of curriculum,” he said and added that the curriculum must be in accordance with the latest requirements and standards. 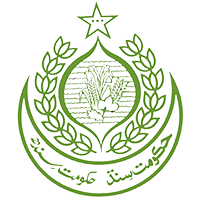 The chief minister approved to establish `Sindh Curriculum Authority’ to redesign the curriculum keeping in view the standards being practiced in other provinces and countries like Sri Lanka and then impart trainings to the concerned teachers how to teach the new curriculum. “There is dire need to redesign curriculum and the teaching skills must be based on latest teaching trends and techniques being practiced in other countries,” he said and added ‘education is the only key to success, therefore his government is giving it top priority. It was pointed out in the meeting that some schools were over-staffed while some were facing shortage of teachers. On this the chief minister imposed ban on transfer/posting of teachers and directed the minister education to prepare proper justification of a transfer case and then implement it. “You have to rationalize school-specific requirement of teachers and utilize extra staff where there services are required,” he said. Education Minister Jam Mehtab Dahar said that he was continuously visiting schools so that the educational activities could be improved. He said that he has worked out a transfer/posting policy which he would send to the chief minister for approval. The chief minister appreciating the efforts of education department to functionalise 1261 closed schools directed them to improve basic facilities in all schools. “I have personally seen that most of the schools lack basic facilities like wash rooms, compound wall, water supply/hand pumps and such others. “These must be made from the funds available under `missing facilities’ programme,” he said and added that only operationalizing a schools is not enough but “we have to develop proper educational atmosphere to be enjoyed by students as well as teachers,” he said. Syed Murad Ali Shah said that he was working to establish an state-of-art teachers academy so that teachers could be given latest trainings purely based on new teaching techniques, communication skills and educational psychology. He directed the Minister education to prepare a detailed briefing on the repair, maintenance of school building, enrolment, drop out ration, out of school children so that future strategy could be evolved. Sindh Chief Minister Syed Murad Ali Shah has approved a summary of Education Department to recruit 977 headmasters selected through IBA Sukkur. These headmasters would be posted in the schools being functionalized on the directives of the chief minister Sindh.